With Lok Sabha elections 2019 around the corner, the Supreme Court has asked the Election Commission of India to increase the verification of Voter Verified Paper Trail(VVPAT) to five EVMs (Electronic Voting Machines) in a constituency from the earlier one per constituency, according to LiveLaw. "We have interacted with the EC officials. At the outset, we would like to observe we are not doubting It may be possible that the system gives accurate results. But if the number increases, it would increase the greater satisfaction - the endeavour is to find to find a viable number of VVPAT", said the CJI in the order, reported LiveLaw. The order came as leaders of 21 opposition parties earlier told the Supreme Court that they do not mind a delay of six days in the declaration of Lok Sabha election results for counting of 50 per cent of VVPAT slips. "If delay of 5.2 days is to be balanced with the integrity of electoral process, the balance will certainly tilt towards the latter," Opposition leaders said in an affidavit submitted to the court. The Election Commission said increased VVPAT slip counting will require extensive training and capacity building of election officials in the field and substantial increase of such officials will be required for deployment in the field. 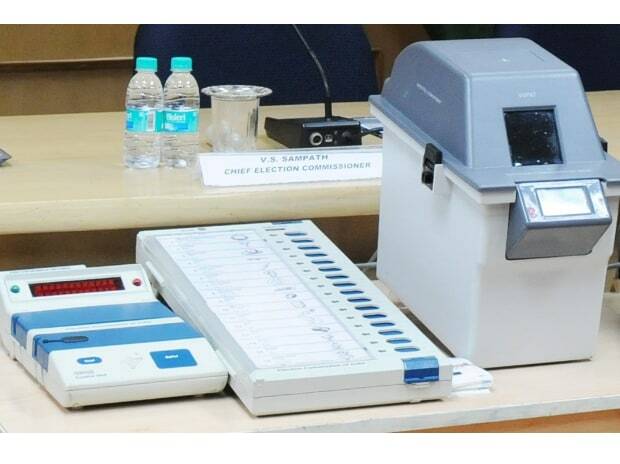 The Commission earlier followed a system of counting of VVPAT slips in one polling booth per assembly constituency in Vidhan Sabha elections and in one polling booth in each assembly segment for Lok Sabha polls.